Luca Poian studied at the Technical University in Vienna and at the Venice University of Architecture (IUAV), where he graduated with Honors in 2003. 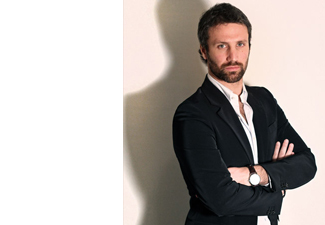 Prior to starting LUCA POIAN FORMS he worked at Foster and Partners in London and in 2009 he moved to Abu Dhabi to work as site architect on two of the most prestigious projects in the UAE: the Zayed National Museum on Saadiyat Island and the Masdar University, the corner stone development of the Masdar city masterplan, an Abu Dhabi Government initiative to build the most sustainable city in the world. In 2004 Luca Poian was tutor at the Venice University of Architecture and in 2007 he was invited as visiting critic at the Technical University in Graz. He is a fully qualified architect registered both in Italy and the UK.